The Green Child has narrative and stylistic lucidity as startling as some of its fantasy. 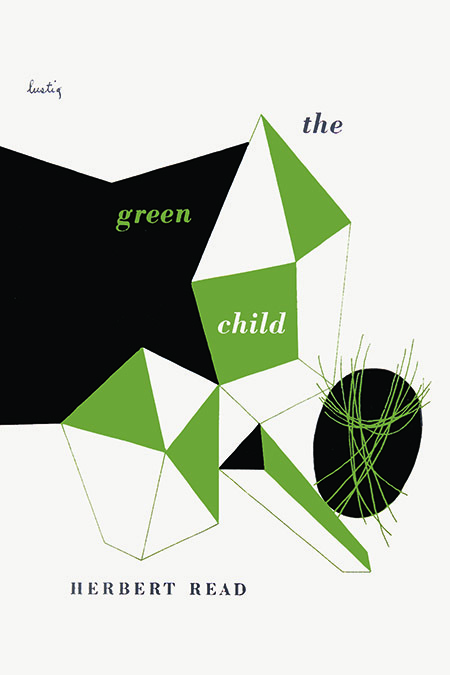 The Green Child is the only novel by Herbert Read — the famous English poet, anarchist, and literary critic. First published by New Directions in 1948, it remains a singular work of bewildering imagination and radiance. The author considered it a philosophical fable akin to Plato’s cave. Olivero, the former dictator of a South American country, has returned to his native England after faking his own assassination. On a walk he sees, through a cottage window, a green-skinned young girl tied to a chair. He watches in horror as a man forces the girl to drink lamb’s blood from a cup. Olivero rescues the child, and she leads him into unknown realms. Here Read conveys the private sense of glory, the same sense of glory that impelled Christian writers to picture the City of God. A mesmerizing novel that resists categorization and simplification. If you want to imagine what it would be like to exist beyond desire, beyond loneliness, and even beyond identity,The Green Child is the book to read. Dwelling in some mysterious Bermuda Triangle between Kenneth Grahame, Adolfo Bioy Casares, and a Max Ernst collage, Read’s philosophical fugue-novel The Green Child achieves the sublimity of the waking dream we all occupy, called existence.